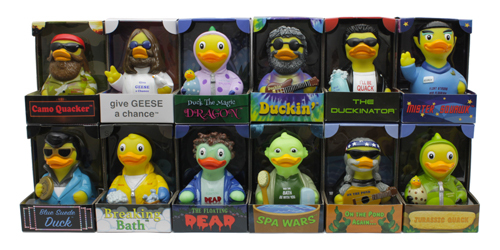 Costume Quackers are the latest from CelebriDucks. We are taking pre-orders now because the first shipment is limited. We should have them in house to ship late August or early September. Perfect early Christmas shopping!